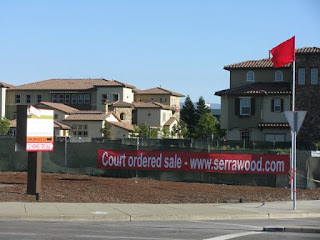 There are brand new homes for sale in Serrawood in Sunnyvale. 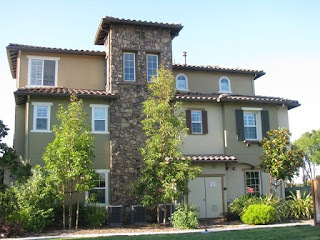 In fact, there are just 14 new homes sitting at Duane Avenue and De Guigne Drive in Sunnyvale, California. These 14 home are part of a multiple phase projects which, if developed as proposed, may eventually consists of 242 new townhouses. There is no guarantee that the total project will be completed as proposed a few years ago. The first two building of Serrawood Sunnyvale containing fourteen townhouses and garages has been constructed by WL Homes doing business as John Laing Homes. The builder filed bankruptcy and now the new town homes are on sale by court order. 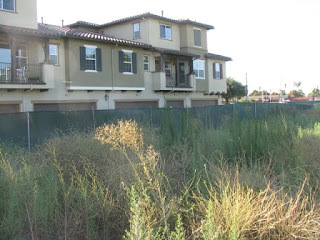 Currently the land surrounding new California homes in Serrawood Sunnyvale is zoned a industry, but there is a plan to change the land use designation to residential. It means that if you plan to buy one of the new house, be ready for the several years of construction works around your new house. Serrawood Sunnyvale lies within Sunnyvale Elementary District and Fremont Union High School district.